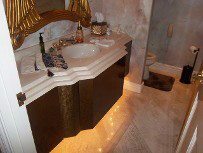 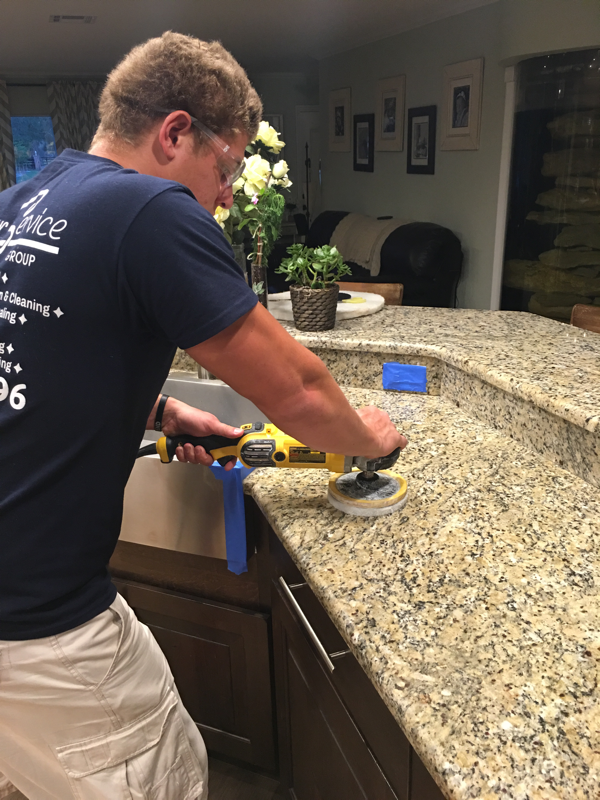 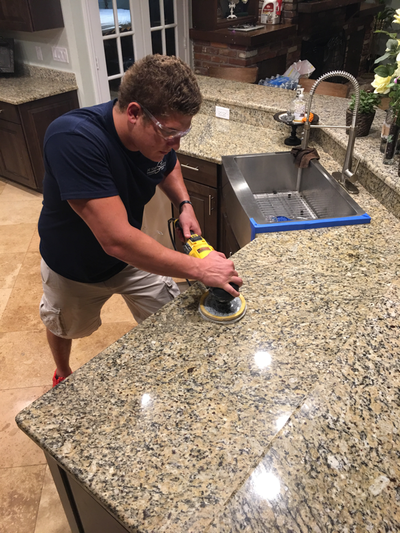 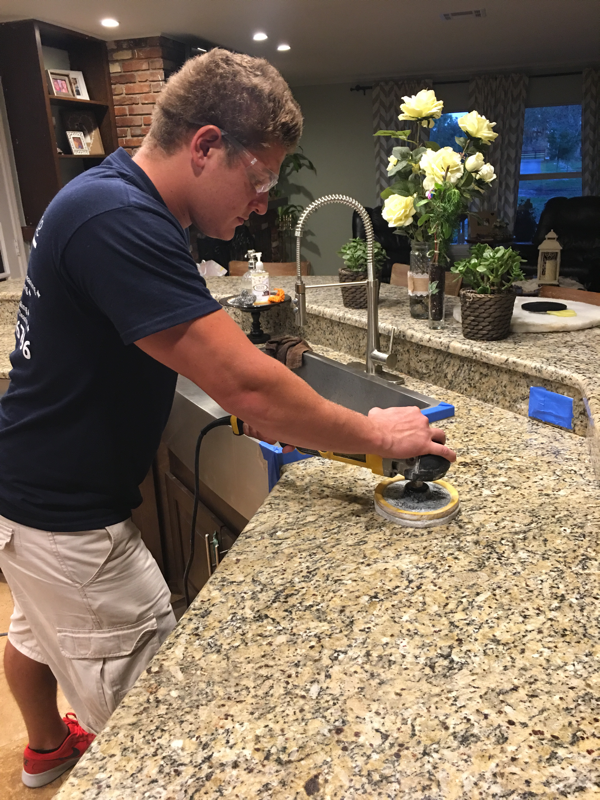 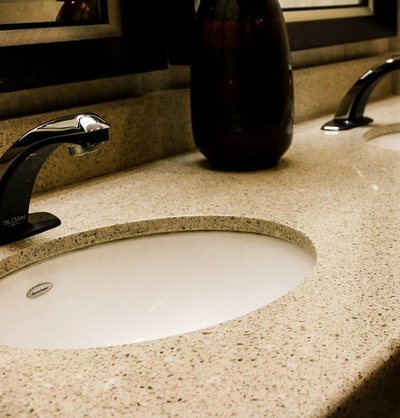 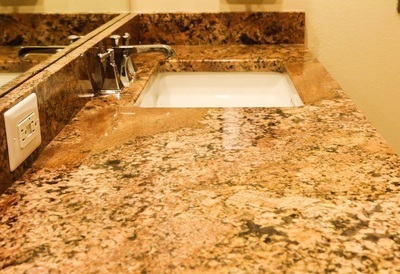 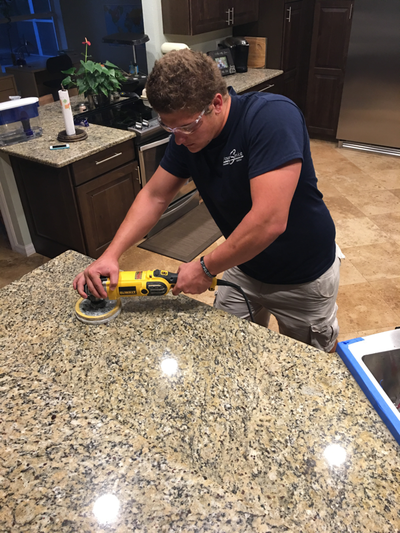 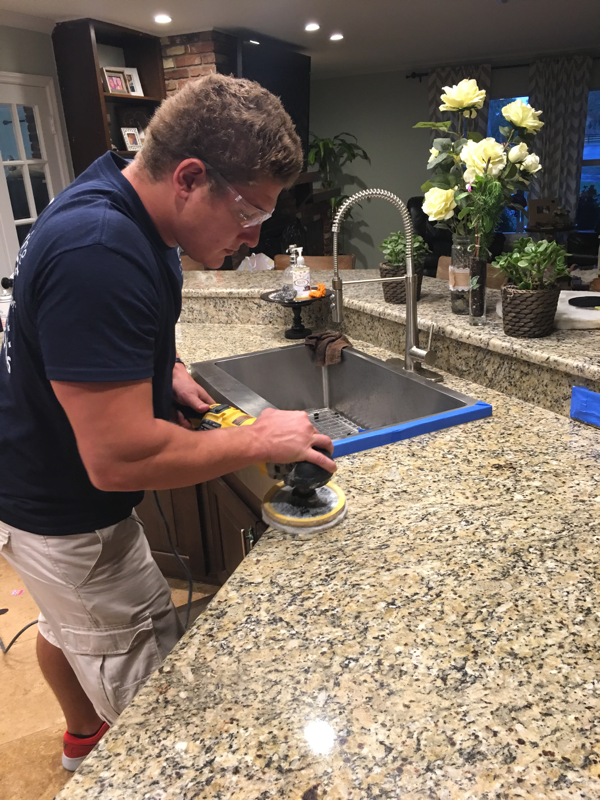 AYS Cleaning Group can restore your marble, granite or any other natural stone counter top surface to its original beauty. 100% Satisfaction Guarantee, We do marble and granite the old fashioned way...as it has been done in Italy for the last century, Fully licensed and insured, Professional and courteous, Our process is a wet hone so dust is minimal, Locally owned, State of the art equipment. 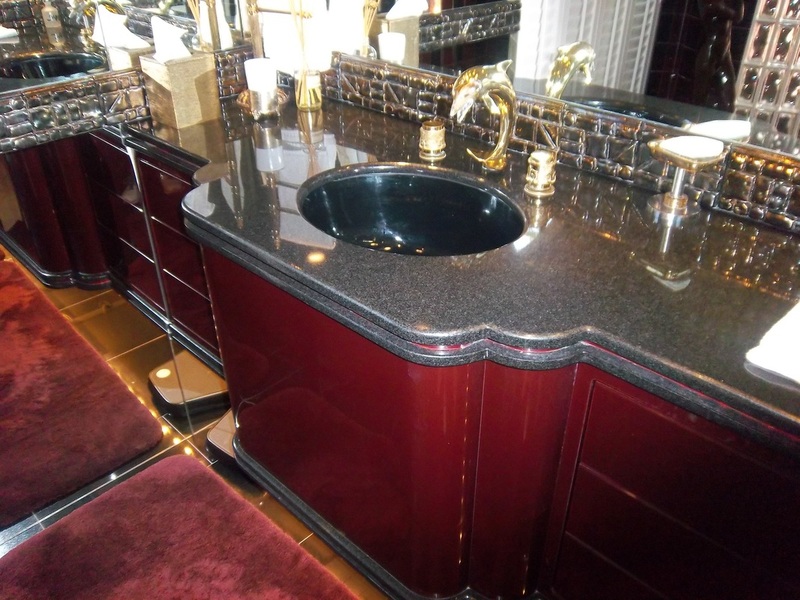 We can also restore Corian! 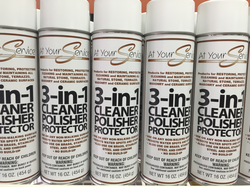 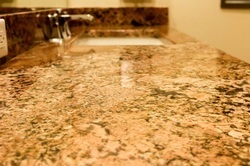 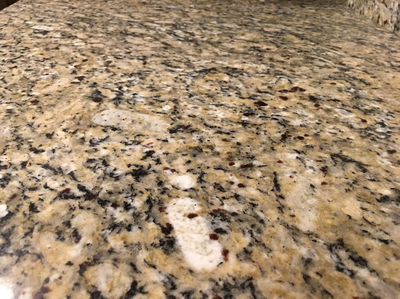 Below is a picture of a corian counter top that has been stained by a spray bottle containing some cleaning chemicals. 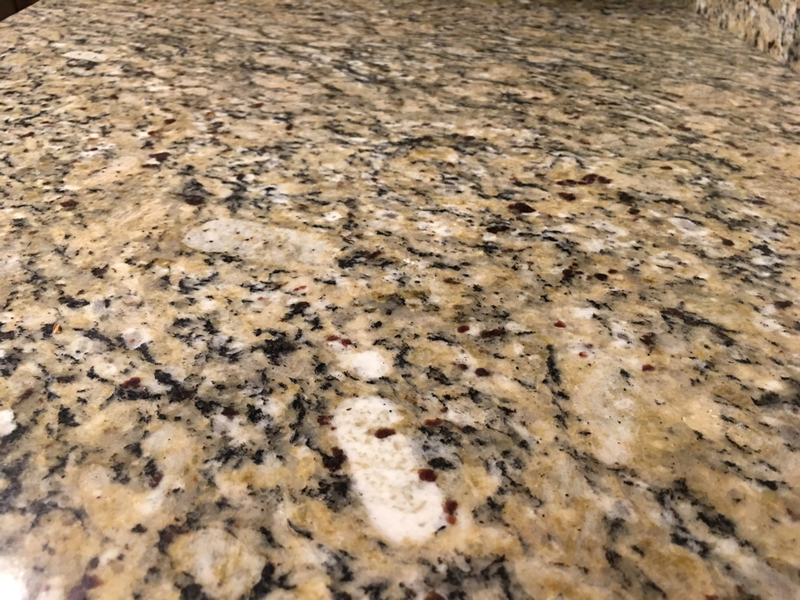 We were able to remove the stain and restore the counter top back to its natural state.